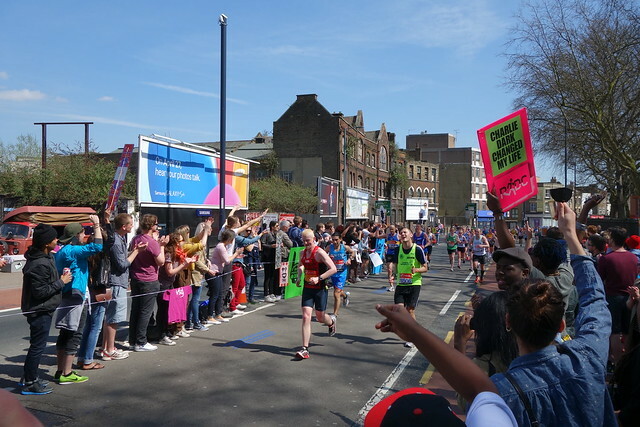 In April 2013 we went down to Mile 21 at London Marathon with the rest of Cheer Dem Crew (the runners of Run Dem Crew who turn into amazing cheer leaders on race day, that's if they're not running it of course). We cheered our lungs out, we shouted out every name we could read, tonnes of hi-5s were passed around and some thug tears may have shed whilst watching some of the most inspirational people pass us by. Obviously buzzing off of these vibes and having "running a marathon" on my bucket list I applied to the ballot as soon as registration went up! ...the other month I found out that I got a place. Happy, excited and scared. That pretty much summed up how I felt about it. I guess running in the cold, in the dark and 5 times a week is going to be my life for a while - eek! I work a full time job and I've got "busy season" coming up. From past experiences, busy season means I will be starting work at 9am and finishing work from anywhere between 8pm and 12am, I've even left the office once at 1am. It's a horrible time full of company expensed fast food dinners and sitting in front of a lap top for hours on end. Instead of dreading the training I'm actually quite looking forward to it. 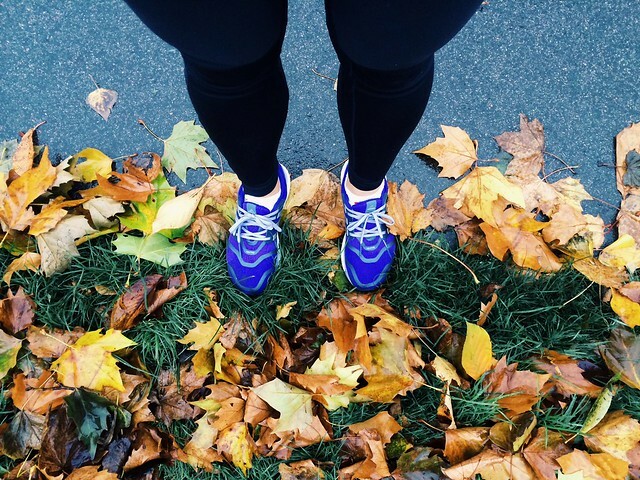 Running is my way of getting away from those terrible hours and the stresses of work, so what better excuse than training for one of the best marathons in the world- London Marathon! I've done 3 half marathons, Tough Mudder and two 10kms over the past year so I think I'm in good shape to start training for this. So I've decided to write this post to help me set a date for London Marathon training to begin - 11th November 2013 is the start date, giving me exactly 5 months and 4 days. The biggest challenge for me is to get my body used to the mileage and avoiding injuries. I've been so injury prone in the past due to lack of strength in the right places that I can't afford to mess this one up. Instead of restricting myself to only running, I'll be doing strength training as well as working on my flexibility just so my running mojo doesn't try and walk out on me again. The biggest challenge for me will be the morning runs. When I was at school I somehow trained myself to routinely be able to fall back asleep in the morning and go into an extra deep sleep when I snoozed - this stupid thing I've learnt to do has followed me into adulthood, which makes waking up in the morning one hell of a task! I often sleep through alarms so I have to have a buzzer and radio on full blast to wake me up - that sometimes doesn't even work. (My friends hate sleeping in the same room as me- I sleep through alarms while they wait for me to turn it off... it never happens lawl). The morning runs will help me in so many ways - it will avoid me running by myself in the dark, it will enable some kind of social life while I train and it will avoid the excuse of "I haven't got time" while I do long hours at work. Seeing the sun rise will be a bonus too! I will also continue to cycle to and from work, which helps me with my cross training and keeps my cardio up and my temper levels down (I have no time for rush hour on buses and trains). 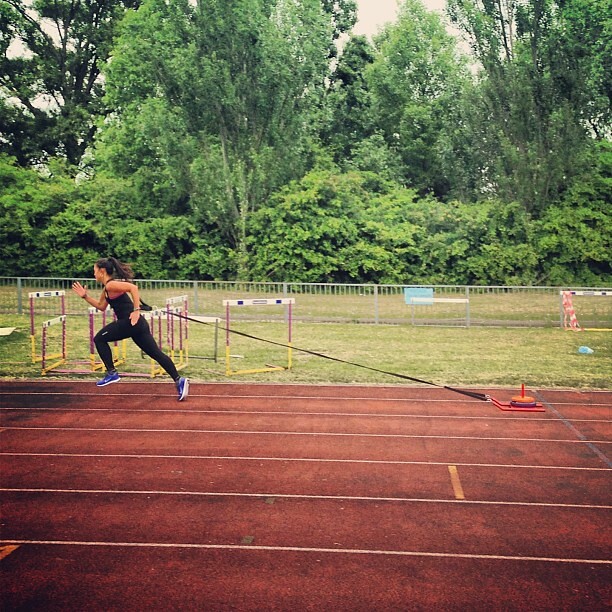 I'll be using strength and sprint training to build strength where I need it to avoid injuries. When I last went to see my physio she showed me how weak my glutes are and how it was affecting my running so it is so important I keep up with this. Yoga to stretch out my poor limbs from the long runs. I also LOVE yoga - chills me out and we always have fun with it. Food: Man, I guess I'm going to have to eat a little more sensibly. As you may know it - we fricking love food! We live by our #WeRunToEat hashtag because that is literally what we do and it is how we all started this. I'm going to be eating more complex carbs and following the rule "Frown if it's not brown" (totes just made that up!). Brown rice, oats and pasta will be my staples. Anything with a low glycemic Index which gives my body a steady release of energy will be perfect. Low fats and lean proteins for muscle recovery. And obviously a lot of treats here and there. The foam roller is going to be my best buddy over the next few months. I will give an update and the distances I plan to run soon - for now I'm just running! Anyone else doing London Marathon? Have you started training yet?